Sep.10th, the first president Kosei Saito founded Ikegami Tsushinki Seisakusho in Ohta-ku, Tokyo to manufacture transformers, choke coils and power supply components. Developed Automatic Frequency Response Recorder and contributed to development of audio equipment in Japan as first component equipment. 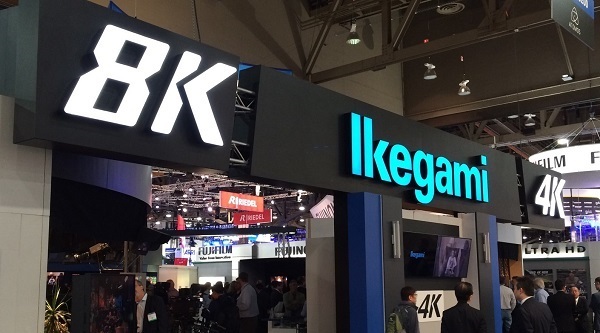 Company name changed to Ikegami Tsushinki Co., Ltd.
Began manufacturing and selling TV studio related equipment. Developed Monoscope Camera to supply all domestic TV receiver manufacturers as first domestic model of TV transmitter. Developed “TK-31T” transistorized TV camera (1st model) to establish self as full-fleded TV camera manufacturer. Organized TV Satellite equipment in various Japanese towns, contributed to dissolve difficult sight and hearing area. Listed in second of Tokyo Stock Exchange. 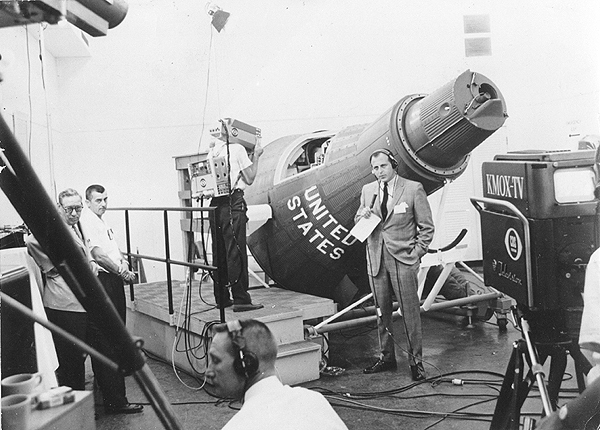 Supplied CBS of the U.S.A. with first version of a broadcast quality portable TV camera for the live coverage of launch of artical satellite Aurora 7. Developed Microwave/STL equipment, promoted line of transmitter units through development of microwaverelay units. American subsidiary established in New York City. (Transferred to Maywood, New Jersey in Dec. 1978). Developed “TGK-6TC” Color Flying Spot Scanner. Developed Optical Character Recognizer (OCR) in-house product with view to entering computer related market. Developed “VF-7001” industrial color camera. Developed “TK-301” Color Camera, played active role in airborne coverage of Osaka Internaitonal Exposition with color camera carried on helicopter. Achieved compact lightweight camera design, improved reliability and stability contributing to faster relay operation. Developed “TK-301A” Color Camera based on TK-301. 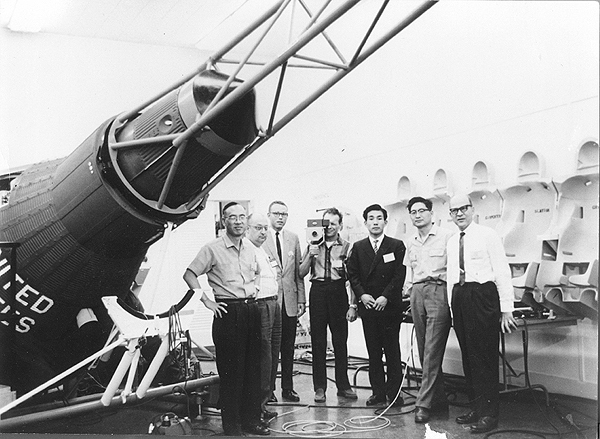 This color camera provided dramatic improvement in performance and was supplied to NHK (nationwide) and many commercial broadcast stations as a standard camera. It made the name of Ikegami synonymous with cameras and was used extensively in the Sapporo Winter Olympic Games. Developed Money Changing Machine for Thousand-yen Bills.Manufactured in-house using bill image recognizing system. 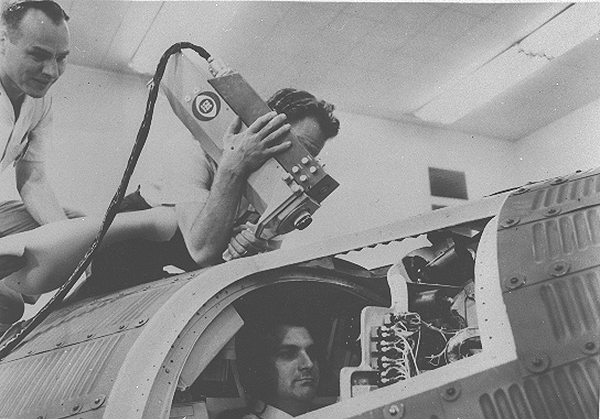 Developed “HL-33” Portable Color Camera, had a lively time of it as ENG (Electric-News Gathering) Camera. Developed “MKC-309″Medical Camera and started approaching medical electronics market. Offered a complete line of ENG systems to set up system ordering organization. Developed “PF-701” Compact Microwave Equipment, providing high performance, high reliability, and low power consumption. Developed “IM Series” Image Frame Memory, as applied digital product and promoted penetration into computer related markets and peripheral equipment field. Won Emmy Award (Engineering Section) for development of digital computers of automatic adjustment of color studio cameras (HK-312, HK-357A). Haneda Branch of Ikegami Factory established. (EC-35) following Oct. 1981 award. Developed “TIE-3000” High-Speed Tablet Inspection Equipment. Shiohama Branch of Kawasaki Factory established. Completed nationwide network system (nationwide video information network offered by Japan Races Associate) using optical cable data communication lines, computers, and other state-of-the-art technologies. Developed Super-Micro Medical CCD Color Camera. Developed “TF-3000/TFF-2000/TFF-1000” Still Picture Filing System. Developed New Helicopter Microwave System, Completed total system offering advantages in applications such as emergency news-coverage (by TV stations) and rescue operations in disasters (by police). Developed “TPP-1000” Ultra-high Precision Color Projector. Beijing Representative Office established in China. 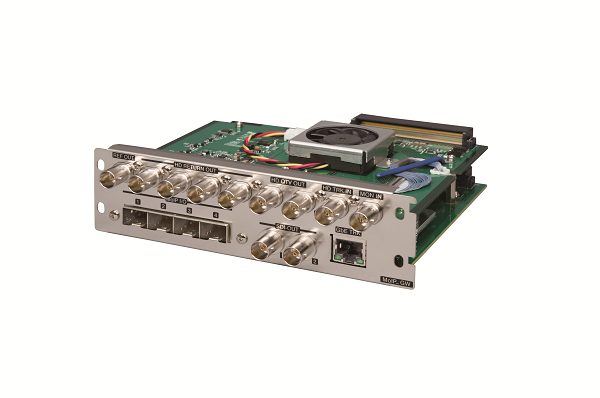 Developed “DSS-5108C”, Video Switcher of the Digital Component System. 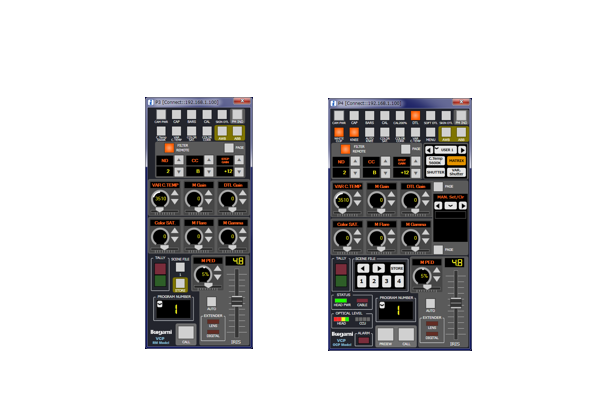 Developed “MVS-9”, Color Multi-Vision System. Developed “HL-55 UNICAM” 3CCD Portable Color Camera. Completed full-fledged 3CCD portable color camera that incorporating newly-developed FIT CCD and succeeded in putting CCD broadcast cameras to practical use. Developed “MKC-100A” Ultra-Compact CCD Color Camera. Added new circuitry to current type used as a multi-purpose broadcast color camera. Expanded broadcast/video technologies in response to coming direct broadcast satellite services to cope with development of satellite network related systems and components. Developed 3D Television Camera System. Combined state-of-the-art video technology and unique ergonomics-based know-how to yield high-quality natural-looking 3-dimentional images unmatched by conventional 3D systems. Developed “TPP-1600HLB” Ultra-high Precision Color Projector. Attracted attention as a 70″ box-type projector incorporating an auto-lock capability with an ultra-wide range to support various video systems. 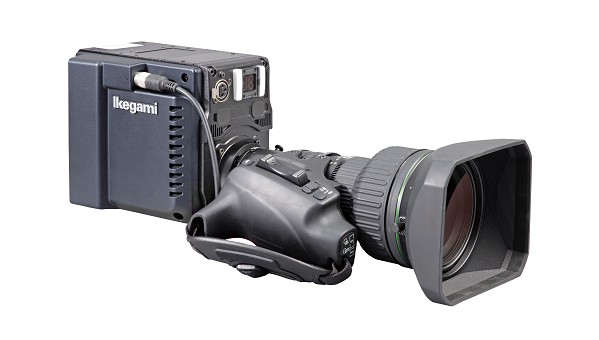 Developed “HL-V55”, a fully-integrated Betacam SP VCR one-piece camera, first from Ikegami. A subsidiary company, Techno Ikegami Co., Ltd. established. Singapore Representative Office established. Developed “30/20 Series” Broadcasting Color Monitors corresponding to digital signals. A subsidiary company, Ikegami Elder Co., Ltd. established. Developed “MUCCS45”, 45Mbits/Digital Coding System with technical coorporation of KDD. A subsidiary company, Item Co., Ltd. established. Domestic sales headquarters, Overseas sales headquarters and Techno Ikegami Co., Ltd moved into the JS Progres building, Ohta-ku, Tokyo for the purpose of expanding Sales and services. Developed “THD-100” Super-Micro Color Camera, adopting 10bit digital signal form. Developed “LCM-900″ 9” Color Monitor with Liquid Crystal Shutter. Won Emmy Award (Technology Development Section) for Skin-Tone Detail, Control Edge Enhancement technology. Developed “DRS Series” Digital Recording System, adopting HDD instead of VCR. Developed Broadcasting Camera Recorder with digital disk recorders. 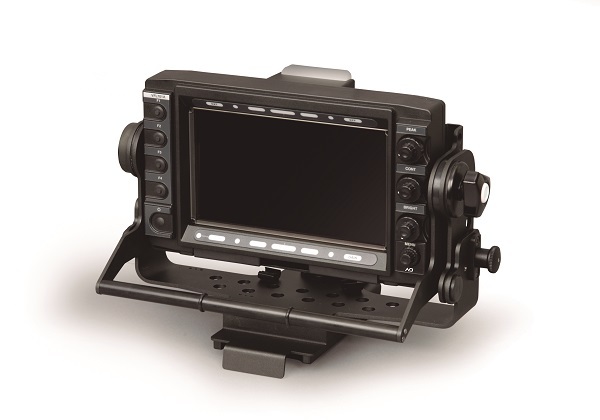 Developed “HL-V77 Series” DVCPRO Digital Camera/Recorder Series, with a new digital VCR, DVCPRO. 300sets of Broadcasting Camera, Digital Codec played very actived role in Olympic games. Digital Codec distributed image to Japan through underwater cable of KDD. Developed “HK-388/388P”, “HK-388W/388PW” Ultra-wideband Studio/Field Digital CCD Camera System. Developed “SKC-100” High-Resolution Mono-chrome Camera for Image processing and measuring. Developed “THD-330” Compact Digital Process 3CCD Color Camera, marketed in an array of fields including medical services, as well as for monitoring and factory automation. Developed “PF721” Multi-Band Microwave Link, a dramatic reduction in weight was achieved. A large order for 49 Studio Cameras (HK-388/HK-388P) was received from the Indian state television broadcaster, Doordarshan India. Supplied digital TSL (Tranmitter-Studio Link) to Tokyo Broadcasting System. It can transmit pictures and sound at twice the capacity of conventional analog lines. Developed “HC-400” Professional Digital Video Camera, our new 10-bit digital process IC is used in the camera part. Developed “HDK-790D/79D” Full Digital HDTV Camera System, compatible with the full spectrum of broadcasting formats, in readiness for digital broadcasting. Developed the hard disk camera (Editcam2) using the small, lightweight hard disk unit (Fieldpak2) as a recording medium, for further expansion of the possibility of non-linear recording. Fujisawa factory operation was relocated to Ikegami, Tokyo as Ikegami/Haneda factory. Developed 0.18 micro meter rule next generation ASICs which were first installed into the most advanced broadcast camera in the world. This was the first product in the world installed in a broadcasting camera. Kawasaki factory was relocated to Fujisawa, Kanagawa as Shonan factory. Developed “HDK-790E/79E” full digital HDTV Camera System with 0.18 micro meter rule ASIC. Many broadcast quality cameras were used for World-wide sport event held in Japan. Developed “ICD-800 series(ICD-808/828/848)” high performance digital processing CCD camera. Made an alliance with DX ANTENNA CO., LTD. For CCTV equipment. Developed the world’s first microwave digital Hi-Vision wireless system, offering a Hi-Vision broadcasting and reporting style that consists of a camera part equipped with a Hi-Vision video transmission function and a digital FPU reception part employing the OFDM modulation system. Developed a portable disk recorder for broadcasting applications (DNE-31) equipped with convenient functions only available in hard disk recording. Mito factory was relocated to Utsunomiya, Tochigi as Utsunomiya factory. 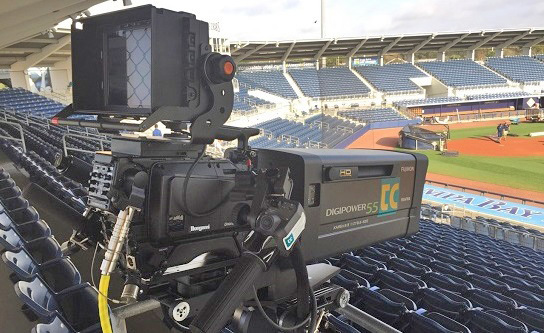 Developed Editcam3 (DNS-33W), a non-linear camera recorder for broadcasting applications, evolving into a highly functional third generation device that is compatible with the coming tapeless era. Developed PCS-25, a high resolution and highly sensitive dome combination camera. 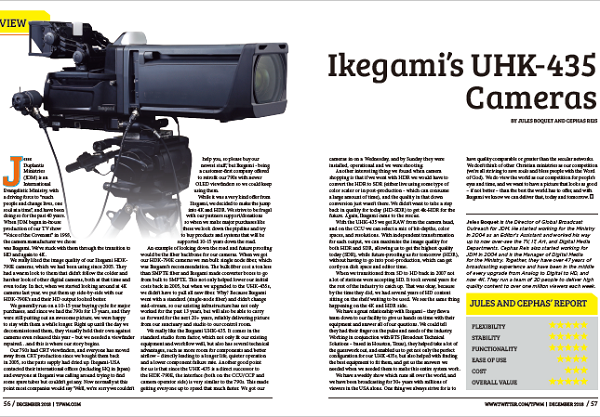 Ikegami Tsushinki celebrates 60th Anniversary. Developed HDK-790EXIII/79EXIII, full digital HDTV Camera System with 0.18 micro meter rule ASIC. Made an alliance with TOSHIBA CO., LTD. for GFTM Series products. Developed HDS-V10/GFS-V10, GFTM Series tapeless camera/recorder system. Ikegami/Haneda factory and Utsunomiya factory operation were combined as Ustunomiya factory. Won Emmy Award (Technology & Engineering) for development and production of portable tapeless acquisition.